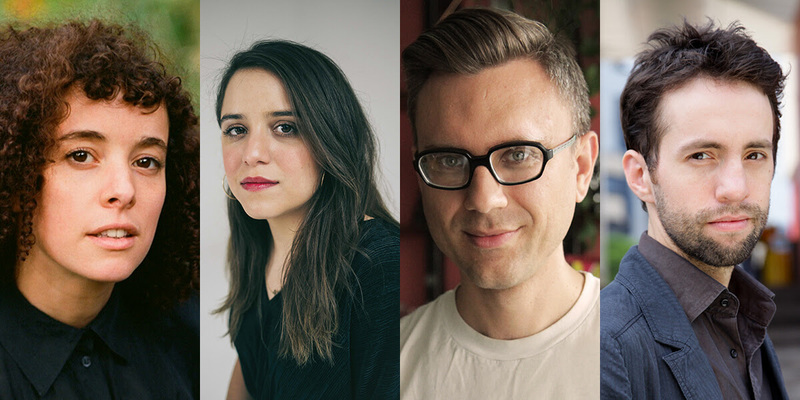 Three filmmaking teams -Isabel Castro, Malika Zouhali-Worrall, and Ted Passon and Yoni Brook – have been awarded the inaugural SFFILM Catapult Film Fellowships. Fellowships are awarded to filmmakers working in the early stages of developing compelling, story-driven documentary features. The inaugural fellowships will run July through December of this year. Also, in keeping with SFFILM’s broader commitment to the Bay Area’s documentary filmmaking community, SFFILM’s popular Doc Talks series of nonfiction filmmaking workshops will continue at the organization’s FilmHouse residency space through a renewed grant from the Academy of Motion Picture Arts and Sciences. The first of its kind in the United States, the SFFILM Catapult Documentary Fellowship supports documentary filmmakers working in the early development stage by providing financial support, mentorship, and continued artistic and industry guidance through the completion of their films. This fellowship seeks to provide direct assistance at the point in the filmmaking process when finding funding is critical, yet few funding opportunities from traditional granting programs exist. By providing support before the fundraising process even begins, this opportunity will facilitate the creation of strong grant proposals and fundraising trailers that will allow these projects to evolve through development and into production. Isabel Castro is an award-winning Mexican American documentary director, producer, and cinematographer. In addition to winning a 2015 GLAAD Award for her directorial debut Crossing Over, she worked on two seasons of the Emmy-award winning series VICE on HBO and helped launch VICE News Tonight on HBO as a producer covering civil rights and policy. Her work there was nominated for a News Emmy in 2017. She is currently freelancing as a video journalist for the New York Times and producing an interview series about immigration for the Marshall Project. About Mixed Status: The mother? Undocumented. The father? Deported. The children? One citizen, two Dreamers. Against the backdrop of shifting border immigration policy, the Arvizus, a mixed-status family in El Paso, Texas, navigate love, work, and the desire for a better life. Ted Passon is an award-winning filmmaker and video artist. He is a 2016 Sundance Lab Creative Summit Fellow. He is also a recipient of the Pew Foundation Individual Artist Fellowship Grant and the Garrett Scott Documentary Development Grant. Passon has exhibited his award-winning short films in festivals and galleries around the US and abroad including exhibitions by the Whitney Museum, French Institute Alliance Francais, and the TBA Festival. Passon was a 2016 Artist in Residence at the Headlands Center for the Arts in San Francisco. Yoni Brook is an Independent Spirit Award-nominated cinematographer and producer. He co-shot and produced the feature Menashe which premiered at the 2017 Sundance Film Festival and was distributed by A24. His cinematography credits include Valley of Saints, which premiered at the 2012 Sundance Film Festival and won the Audience Award and Alfred P. Sloan Award. As a documentary director, his films have premiered at the Tribeca Film Festival (Best Documentary Short), True/False Film Festival, Berlin Film Festival, Toronto International Film Festival, and International Documentary Festival Amsterdam (IDFA). About Philly District Attorney: A band of activists, led by defense attorney Larry Krasner, takes the reins of the agency at the center of mass incarceration: the district attorney’s office. Embedded behind closed doors, the filmmakers capture an unprecedented criminal justice experiment as it unfolds and asks if real reform is possible. About Untitled Dystopia Film: Caught in a modern-day dystopia, a novelist uses fiction to examine the very real brutality and absurdity of authoritarian rule. In addition to funding resources and consultation services from SFFILM and Catapult, fellows will be included in a robust mentorship program as part of the FilmHouse resident community and a select group of additional documentary advisors. Integrated into SFFILM’s mentor- and peer-oriented support structures, SFFILM Catapult Documentary Fellows will have access to an established network of directors, producers, editors, managers, and legal consultants to help navigate their looming funding and producing concerns. The fellowship selection process seeks out documentary features with an emphasis on powerful stories, compelling storytelling, a broad spectrum of issues and perspectives. The program is open to documentary makers across the US in the development phase of their projects. The application period for the next round of SFFILM Catapult Documentary Fellowships opens January 2019. The program is open to documentary makers across the US in the development phase of their projects.